Our bitumen driveway work force offers a superior driveway construction, repair and rejuvenation service. As suppliers of commercial bitumen driveways in Melbourne and surrounding suburbs, we are highly sought after by landscapers, builders and developers to assist them in their construction needs. Due to our high standard of workmanship, our reliable service and our low pricing, we are the team that other professionals turn to for their asphalting needs. No matter what your budget is, we can extend, repair or resurface your existing driveway so that you can enjoy it for years to come. We guarantee quick quotes, quality workmanship and competitive pricing for all your asphalt driveway requirements. 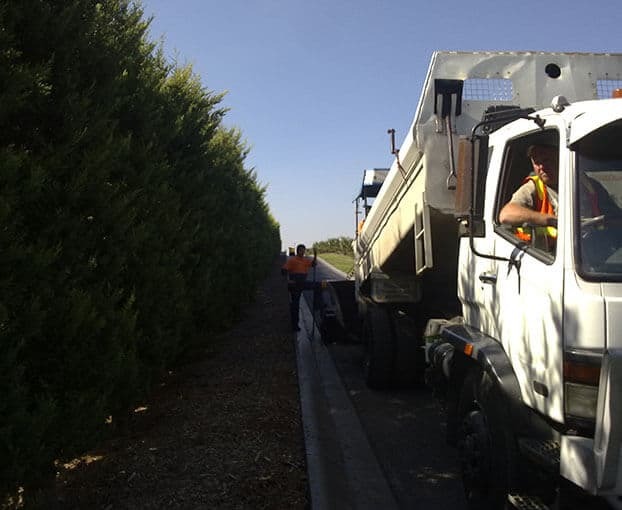 If you are seeking out a bitumen driveway in Melbourne or surrounding suburbs, you can rely on us to provide you with a high standard of service that will meet and exceed your expectations. For more than 15 years, Asphalt FX has been providing its high quality asphalt services to the people of Melbourne and all of its surrounding areas. 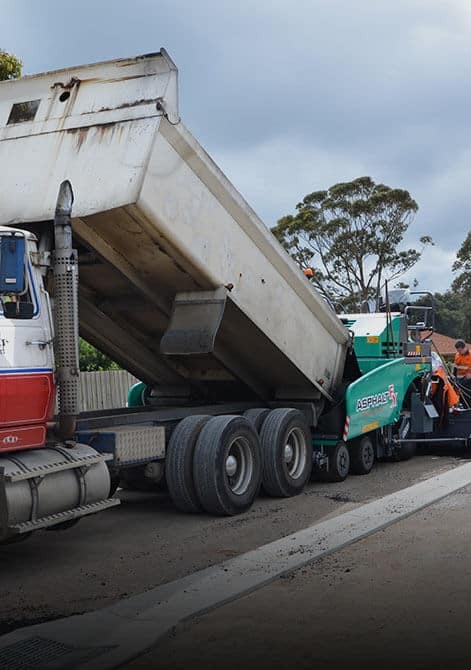 With our large fleet of trucks, highly skilled and experienced team of workmen and reliable stock of equipment, we are the premier provider of asphalt services in Melbourne, specialising in car parks, roadways, driveways, hard stand areas and footpaths. Our commitment to customer satisfaction is what sets us apart from every one of our competitors. All of our work comes with a 100% satisfaction guarantee so if you’re not happy upon completion, then we’re not finished the job yet! In addition, we ensure that all our work is carried out within agreed time frames and on budget. From asphalt driveways Melbourne citizens can take pride in to roadways and car parks that Melbourne can boast about, we’ve done it all. No job is too big or too small for our team of experienced workmen to handle. As a team, we have successfully taken on and completed a wide range of different projects for residential and commercial customers as well as government, council and contract customers. We pride ourselves on our ability to deliver whatever the project calls for. To ensure that our customers are completely satisfied with the service they receive and the work that we carry out, we continually strive to exceed customer expectations. To that end, we ensure to keep ourselves aware of all the latest developments in the asphalt industry. In this way, we can provide you with the most innovative designs and solutions that are available today. As a family owned Melbourne business, we are also proud of our unparalleled reputation in the asphalt industry. Our reputation precedes us, which is evident from the glowing testimonials that we receive from our customers. To read these testimonials and to view previous examples of our work, you can browse through the many pictures of projects we have carried out in the past via our website. We recommend you do this now, as doing so will give you some indication of the wide scope of the work that we carry out as well as the high standard and quality of our workmanship. While high standards and quality are important to us, we also understand that value for money is a huge consideration for our customers. For that reason, all our services are offered to you at very competitive rates. We don’t believe that you should pay more than you should for excellent asphalt services, which is the philosophy that underpins every obligation-free quotation we provide. For more information on our services, please do not hesitate to contact our team at our Dandenong office on 03 9768 2154. A member of our administration team will be only delighted to help you with any queries you may have about our services, our previous projects, our quotation and estimation services and much more. The company offers 100% Guarantee with all their work to Customer Satisfaction. Copyright © 2019 asphalt fx Paving the way. All Rights Reserved.